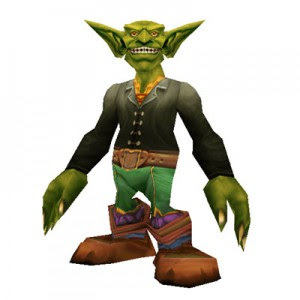 A lot of the same tactics that I implement to profit on the Auction House in Word of Warcraft are very similar to the strategies that I used when making a real life profit off of flipping on eBay. About 10 or more years ago, I was a major seller on the online auction site, eBay. While I did have a good job at the time, I also enjoyed buying and flipping items on eBay for supplemental income. Being an electronic vinyl spinnin' DJ, I was always on the hunt for great records to add to my collection, but I also had the expertise and knowledge to flip other records for a profit. I would browse tons of auctions looking for underpriced items that were packaged in "lots", as many sellers titled them, for the sole purpose of breaking them apart to sell as singles. This was how I first started turning a profit with my 12" vinyl sales model. I eventually found an excellent supplier, far superior to the scan, buy, split and resell tactics I had been using. This new connection was a radio DJ in California that would receive tons and tons of records free as promotional material. Since he would get these records free, he would sell them to me in mass quantities for dirt cheap. I'm talking 200+ records for $100. I purchased direct from him multiple times and made a killing off of these mega-purchases. Records that cost me on average 50 cents were selling for anywhere from $4-$15 each, and occasionally rare finds were hitting upwards of $100 for a single record. Hell, I paid that for the whole lot! I understood what records where able to be pulled and sold for a huge mark-up, but also were priced effectively to move, while giving the buyer a deal. These were almost all current, big name tracks by known record producers and labels. Anything that didn't sell was grouped into a 10 or 20 record lot of my own and eventually sold on eBay also. My supplier had no idea what the records were worth because they were in a genre he was very unfamiliar with. He eventually scouted out my relisted auctions and cut me out, as he realized he would profit much more from selling them himself. I'm sure you can start to see some of the similarities here. My niche market was selling electronic 12" vinyls. I had the experience, knowledge and understanding of what music would sell. It is very important to become an expert and find your niche within the auction house within the game. Understanding you markets ins and outs as well as understanding who you are selling to and why they are purchasing is just as important in-game as it is in real life. The California DJ was basically my in game farmer equivalent. He would collect the goods and sell them to me at discounted rates due to large quantity purchases. We developed a working relationship and continue to both profit off of our businesses. Finding suppliers or farmer within the game will help you to get goods constantly supplied at a lower rate than purchasing directly. Just as I was able to buy large amounts and profit from selling single slabs of vinyl, within the game it is often cost effective to buy large quantities from a farmer or to buy full stacks of an item from the auction house. Then split this large stack of items into singles to sell for an overall profit. Selling items in various quantities also can help to increase your overall sales numbers. You should always be on the look out for hidden gems. Those items that are grossly underpriced, that can sell for a huge mark-up and profit. I recently purchased a [Captured Firefly] for 2k from someone in trade chat. A couple weeks later I flipped it for 5k, an easy 3k profit on a 2k investment. Always look through the auction house recipes section for horribly low listed items. I've bought [Pattern: Rich Purple Silk Shirt] for 40g before. There are always steals to be had, just make sure you are looking for them. In my record flipping ventures, I can recall two insane flips that I managed to flip. In one of the 200+ lots, I found a Clear Purple Vinyl Record that was actually purple and see through. Super cool! This particular record was a super rare dance remix of Prince's "Purple Rain". I have never ever seen a real house music track with house beats for this song. It sold for $35. Remember it cost me 50 cents! Another I recall was a promotional record for the release of The Avalanches original album. Apparently there was a track on the promo that never ever was released anywhere else. This version of the track had a female's vocals instead of the released male version. I actually ended up selling it to a family member of the female singer all the way in Germany. Others were hard after this super rare promo and the final eBay sale was over $130! Again, I paid $100 for the lot of 200 records. Turning $100 into $700-800 was always exciting and when you sell online, getting mail means every day is payday. Originally I would only sell to the US and Canada, but with experience I diversified into shipping internationally. Always look for new avenues to sell in, as well as new markets to end to diversify. I eventually started flipping CDs too. Have you forgot about the other faction in WoW? They need goods too. Don't forget to check into the neutral auction houses for deals and potential sales. Having different markets to dabble in, will help once one market comes crashing down. My record sales all but crashed to a halt once the US Government released the RAVE-ACT. This crushed the ability to safely play live music publicly and was targeted at ravers, DJs, rave and club promoters: All my main buyers. This pretty much killed my sales. The gem market in WoW is crashing, glyphs have crashed and become cut-throat. Are you diversified and not investing in only one cash cow that could shut you down if Blizzard changes a rule on you? Much of what I apply on today's WoW auctions I learned from the real life auctions of eBay. So make sure that you are always looking for deals, looking for better suppliers, searching for those hidden gems, diversify for safety, and supply what your customers are after. Anyone else have any real life scenarios that remind them of in game auction house mechanics? Very nice article cold. Especially the part where you warn about a dropp in demand. Very cool. This is one WOW skill that translates very well into real life. I do something similar, "crafting" phono stages to sell on eBay and it is incredibly rewarding. Making in game gold is fun, but making IRL gold is a whole other level. Botters: To Report Or Not To Report?